Hypnotized by beatmaking since his teenager days, Dario Casillo aka Daddario has armed for years with MPC and Moog: the best weapons to create his huge amount of instrumental tracks, finally collected in his self-titled debut out on Museek Record Label the 21st of May. 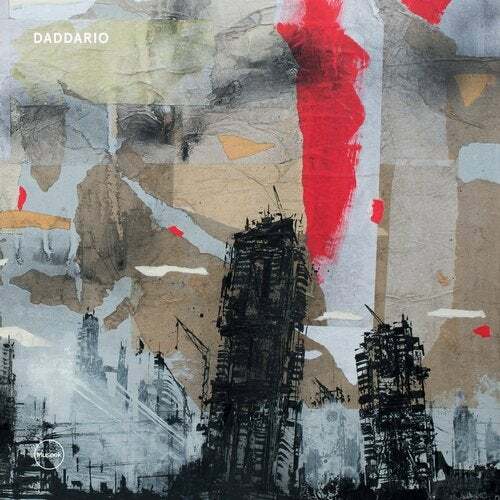 “Daddario” is a beat tape made of many short tracks where funk, soul, jazz, short whispers of dubstep, sudden oriental echoes and hip hop beats are mixed together into a delightful, bouncy and elegant chill out magma. An old school attitude, enriched by touches of latin vibes and cool synth, permeates this sounds where Stones Throw's flows, Nitin Sawney eastern vibes, Flying Lotus enchantments and Dj Premier smooth desserts dance together creating a very Ninetees sound properly landed in our second millennium. As part of Museek label conceptual project, the collaboration with the d406-fedeli alla linea Gallery and its artists selection - started in 2015 with the cover for Waxlife Ep by CT - goes on. This time the artwork is by Francesco Barbieri: formerly a graffiti writer, he is an impressive talent, still inspired by those urban contexts he has been exploring for years.